(CNS): Graphic images of the victim killed in a murder-suicide at the weekend, clearly taken at the time when police had already arrived at the scene but before the body was removed, were circulating on social media this week and police say they are investigating. Along with images of the murder victim, pictures of the suspected killer, who is thought to have taken his own life following the murder, also appeared on Facebook and other digital media. It is apparent from the pictures that they were taken after the authorities were at the scene by either onlookers who had managed to get to the scene or by officers themselves. As a result, a spokesperson for the RCIPS confirmed that an enquiry was underway to find how the images were taken and published. "We can confirm that we are aware of the matter and it is being investigated. Consultation will take place with the legal department to determine if any criminal offences have been committed." 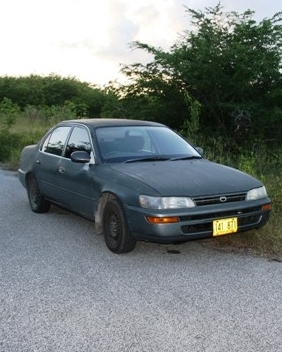 Meanwhile police continue to ask anyone who may have seen a grey Toyota Corolla, licence plate # 141 871, parked near farmland in Passion Crescent to come forward as they try to piece together exactly what happened on Sunday morning in what appears to be a domestic dispute that ended in tragedy. 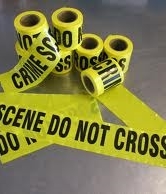 Witnesses are asked to call Detective Inspector Dennis Walkington on 325-8161. (CNS): The minister with responsibility for rubbish said that a committee established to seek a solution for the George Town landfill will spearhead the development of a planned waste management system for the islands. Facing considerable criticism for not addressing the issue, just nine months after taking up the post when governments for the past nine years have failed to act, Osbourne Bodden said he was confident the committee, made up of technical experts and no politicians, will identify real solutions. Described as a multi-agency steering committee, it first met on 22 January to begin the work on the five stages of the initiative to plan, develop and execute a new approach to garbage in Cayman. As with all public sector projects, it will go through a formal process, starting with the appraisal and business case, procurement, contract management, delivery and evaluation in order to meet governments obligations under the Frameworkd for Fiscal Responsbility, the public finance agreement that the Cayman government signed with the UK. The committee is made up of members from the Ministry of Health, the Department of Environmental Health, the Department of Environment, the Finance Ministry, Public Works Department, the Public Health Department, the Water Authority, as well as from the Department of Planning and two private sector representatives, all of whom have a high level of knowledge and experience, officials said. Bodden said Cabinet was relying on the group to provide government with their best technical advice, to take responsibility for the business issues associated with the project, to approve budgetary and procurement strategy, to define and realise benefits, and to monitor the risks, quality and timeliness of the comprehensive waste management system. “The question of what to do with our solid waste has been a long-standing area of concern, and with each passing year, the need to address it increases as we continue to use landfills as our primary method of solid waste management,” Bodden said in the Legislative Assembly recently. In order to keep the work of the steering committee neutral and free from political involvement, he confirmed that he will not be sitting on it but will get regular updates on the work and progress from Jennifer Ahearn, his chief officer. (CNS): While the courts have already handled a number of human rights cases challenging various government agencies' decisions and actions, the courts themselves and the criminal justice system are also at significant risk of human rights challenges as a result of legal aid issues and delays due to lack of resources. Earlier this year the chief justice pointed out that defendants were becoming increasingly aware that the law requires people charged with offences that could result in jail time to be represented but the public legal aid scheme does not recognize all of these crimes, leaving defendants, especially in the summary courts, without lawyers and the system vulnerable to human rights challenges. 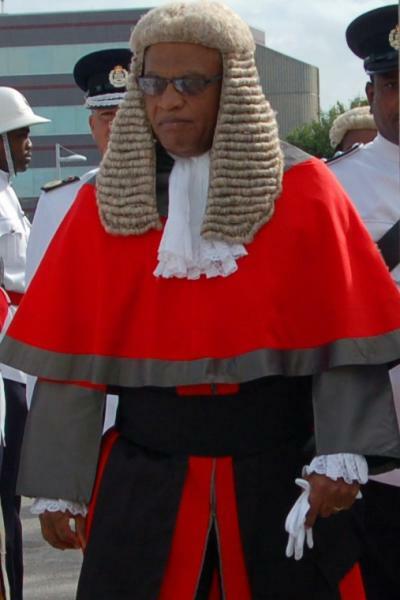 During the formal annual opening of the courts last month Chief Justice Anthony Smellie made a number of observations and warnings that should give the authorities cause for concern. While the government is strapped for cash, with enormous pressures on the public purse, the lack of investment in the criminal justice system may in the end prove far more costly to government than increasing the court's resources. As more and more laws are enacted or expanded and criminality and anti-social behavior is on the rise, cases across the entire court system are increasing. But it is in the area of crime in particular that the issues of human rights will be most likely to emerge. The top judge warned that people charged with what the law regards as less serious offences, which are not expressly provided for under the Legal Aid Law, means that many people are being tried and convicted then sent to jail without legal representation. “This presents great difficulty for the Summary Courts, as defendants charged with these less serious offences are awakening to the Constitutional protections which mandate that as an aspect of the right to a fair trial, legal representation for those who cannot afford to pay shall be provided at public expense through an established public legal aid scheme as prescribed by Law,” Chief Justice Smellie warned. 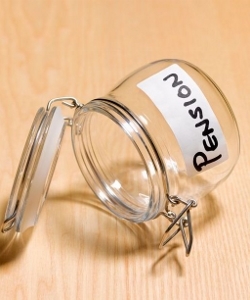 “It goes without saying that the existing allocation for legal aid would be grossly insufficient to extend cover for all such offences as well. Nonetheless, I am bound to express the Judiciary’s concern about the fairness and perhaps even the constitutionality of a system that fails to provide assistance to persons in need and who are charged with any offence that could result in loss of liberty,” he warned during his presentation to the court. He said that there was already an increase in the number of cases being funded via legal aid, including serious criminal, child care and constitutional cases coming before the courts. Applications for criminal case in 2013 increased by almost 100, up from 276 in 2012 to 370, a jump of 34%. Meanwhile, civil cases requiring government funds also increased some 12%, from 281 in 2012 to 313 last year. The judge noted that government had increased funding for legal aid in 2013-2014 budget but he said it would not be enough to address the growing concerns. However, he noted the attorney general’s “guarded optimism” that the government would be examining the issue again. In addition to the lack of legal aid funding, the chief justice raised concerns about the workload in the under-resourced court system and the ongoing delays, which he said were due to a number of reasons, not least the lack of court space. But he also pointed the finger at more effective case management on the part of the police, the prosecution, the defence and even the courts, which he said would be the focus of attention of a committee established under the leadership of Justice Charles Quin. Smellie said a new court house was essential now to allow simultaneous trials, which are necessary to ensure the right to timely trials guaranteed by the Constitution. “This need is again clearly demonstrated by the increasing back logs in the Criminal Divisions of both the Grand and Summary Courts,” he said pointing to a year's back log in both the Grand and Summary courts. He explained that in the Grand Court Criminal Division, 94 indictments were carried over from 2013 to this year compared to 62 carried over from 2012. “At recent rates of disposal, 94 indictments represent more than a year’s case load and is therefore indicative of a now chronic situation requiring persons having to wait for well over a year for their trials. This is more than twice as long as the established international bench mark of 6 months – that which had been maintained in the Grand Court for many years. Regression in this area cannot be an acceptable state of affairs,” he warned. In the Summary Courts 1,579 new charges were filed in 2013, an increase of 300 from the 1,260 filed in 2012 with 1,230 carried over into 2014. Despite including 159 cases under review in the courts’ diversionary treatment programme, it represents a year’s backlog in the Summary Courts as well. “Waiting time to trial is impacted in much the same way as in the Grand Court – borne out by the fact that trial dates in the Summary Court are now being set for as late as August 2014. I am sure everyone will agree that such a state of affairs belies all notions of timely and effective justice,” he warned, adding that government must address the court house and the resources issue for the jurisdiction to maintain its reputation for timely and effective dispensation of justice. (CNS): Police have confirmed that they are conducting some enquiries in relation to a free classified ad on a local website that appeared to be advertising ganja. The ad on EcayTrade, which has now been removed, was brought to the attention of CNS by an alert reader on 9 February and we passed it onto the RCIPS. While the police have said they are looking into the matter, it is not yet known if the ad was a real attampt to sell illegal substance over the internet or if it was a joke or a spam ad. (CNS): Detectives piecing together the events leading up to the suspected murder-suicide on Sunday are appealing for witnesses who may have seen a grey Toyota Corolla (licence plate # 141 871) parked near farmland in Passion Crescent to come forward. Jamaica nationals Nichelle Anna-Kay Thomas (21) and Devon Roy Campbell (39) were found dead at an address in Lookout Gardens, Bodden Town, at about 8:25 on Sunday morning, 9 February. Police are now asking that anyone who saw the vehicle (left) parked at that location between 6am and 8.25am on Sunday to contact Detective Inspector Dennis Walkington on 325-8161. DI Walkington is also keen to speak to anyone who saw Devon Campbell, who was well-known locally, with the car or in farmland nearby. The RCIPS confirmed that, at this time, they are not looking for anyone else in connection with this enquiry. (CNS): Lawyers will be going into battle later this month regarding charges against a local police officer accused of importing parts of a firearm. Alexander Carballo-Kelly, who was stationed in Cayman Brac, is charged with the illegal importation and possession of a component part of an unlicensed firearm in connection with the importation of a magazine. The case against him was adjourned for two more weeks on Friday. Although the suspended RCIPS officer was bailed for one more month, lawyers will be engaged in closed door arguments before a trial date can be set. Carballo-Kelly has denied the charges. (CNS):The deputy governor has stood by the civil service employee award that was given to a police officer who was openly criticised in court by a Grand Court judge after a criminal case collapsed as a result of what were described as very fundamental issues relating to evidence. Franz Manderson has also defended the point of the awards, which he said were designed to encourage excellent performance in the civil service. Notwithstanding the turn of events relating to the 'Punch and Play' case, in which the criticisms were made, Manderson said that in the end others had been prosecuted in the case and that there were “any number of factors” that may contribute to a case coming to an end. 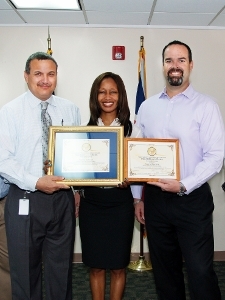 “The Cayman Islands Government constantly strives to make service improvements and to develop employees’ performance,” he said about the employee awards in the letter to CNS. “With this goal in mind, the Deputy Governor’s Award programme was launched in 2012 to acknowledge and encourage excellent performance in the civil service. Award candidates are nominated by their Heads of Department, based on their performance in relation to civil service values and service targets." Manderson said he did not “wish to participate in an exercise of finger pointing” but said the officer was put forward by her managers for her exceptional dedication and hard work. “Even in the isolated scenario which you have identified, efforts by the combined prosecutorial team lead to the majority of persons being successfully prosecuted,” the deputy governor said. He added that seven people were charged in the Punch n Play case and four were successfully prosecuted and Fosters had obtained restitution. “In the case of one additional person, the prosecution exercised its discretion not to pursue the matter further. Finally, whilst the case against two defendants was unsuccessful, there are any number of factors that impact the outcome of a case,” he said. Since its inception, Manderson said, the DGA programme has highlighted the performance of many worthy civil servants who have continued to provide exemplary service for the public and for their co-workers.